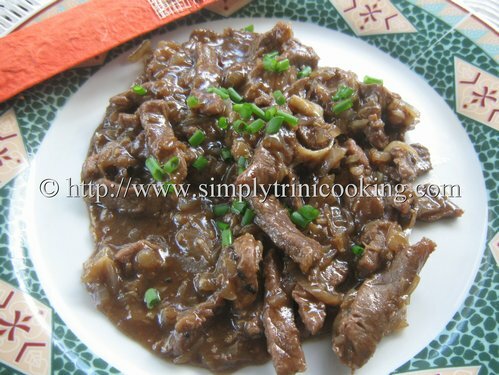 Lately, I’ve been trying my hand at some cooking from our Chinese Heritage on the island, more so this beef in hoisin sauce recipe. But, I’m not really trying, because the recipes are very close to the taste as compared to the Chinese restaurants, save for the M.S.G, but that’s another story. Let’s consider the simplicity of Chinese cooking. 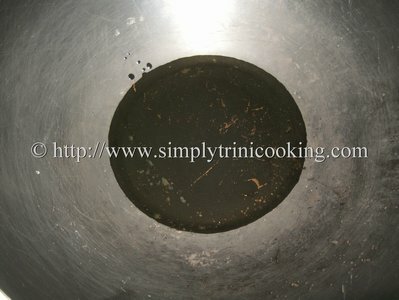 Ever wondered what gave rise to their remarkable cooking techniques. The answer is simple and perhaps even an obvious one. When they say necessity is the mother of invention, perhaps they were thinking of the Chinese. 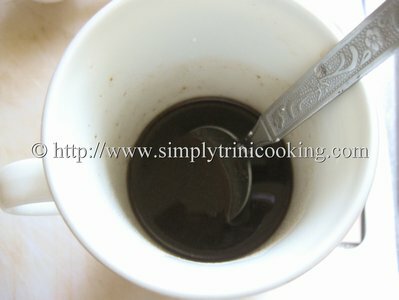 I remember reading a column in the Trinidad Guardian eons ago on Chinese cooking; it was a very refreshing column every time I read it, because I learnt something new all the time. 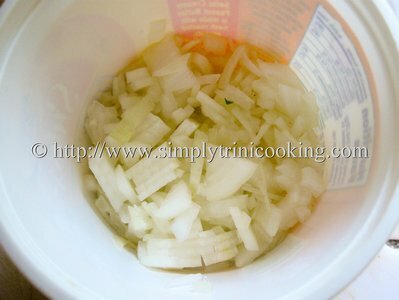 This is the gist of what I got from the article concerning the reason for slicing the ingredients thinly….. In winter, when food and fuel was scarce and it was necessary to save fuel (usually the dried yak’s dung used when cooking), the Chinese came up with an ingenuous way to decrease cooking time. What did they do? 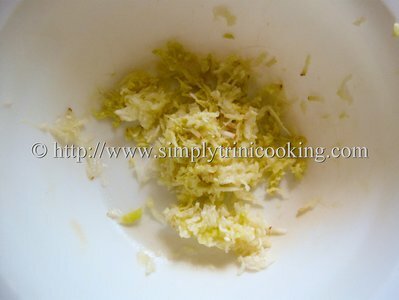 They cut their meat and vegetables thinner or smaller; so that the ingredients can cook quickly and absorb all the seasonings readily. Isn’t that brilliant and innovative, at least! Another technique championed by the Chinese was steaming, which by the way is a really healthy way of cooking. 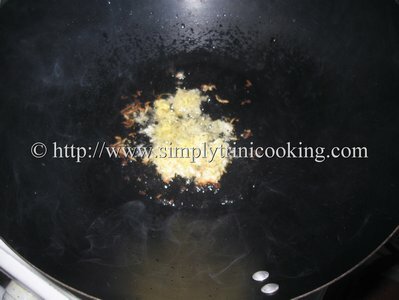 (Steaming of vegetables and other ingredients require no oil). The vegetables are always tastier, never overcooked, and are more nutritious. How about that, no oil? That option is healthier and you don’t have to waste your precious oil. Also, now that I am on a health drive, the less oil the better for me and also for you my dear readers lol!!. 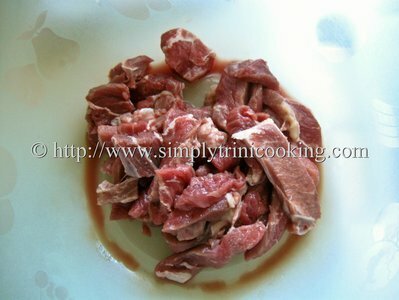 So here’s a simple beef in hoisin sauce recipe you can make in very little time that’s very tasty… And while you’re at it, imagine you’re in China 500 years ago in the dead of winter with very little fuel … So make sure your meat is cut very thin and your fire is low with only ten minutes to cook a meal for you and your relatives…. Here’s beef in hoisin sauce. Enjoy! Oh and good luck remember you only have ten minutes lol!! 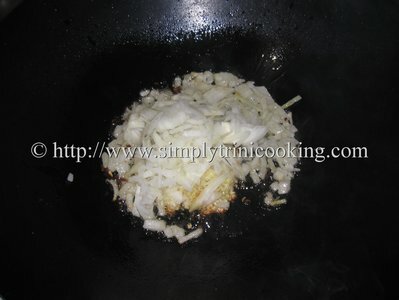 Saute the ginger and garlic for one minute then add the onion. 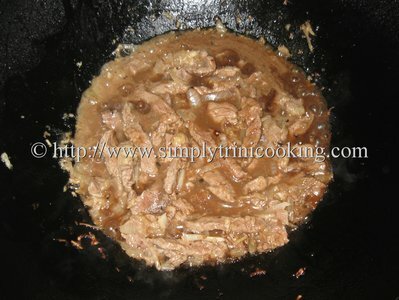 Then add the cornstarch and hoisin sauce and simmer for about 2 minutes. Garnish with the chopped chive. Serve as a side or over rice or noodles. Did you cook it in ten minutes? Of course you did. 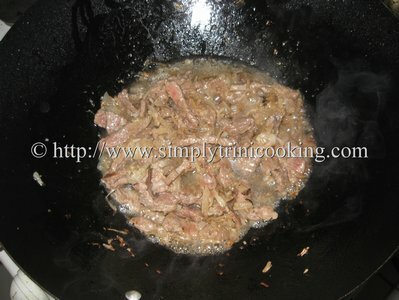 The recipe only called for about 5 minutes tops to cook the beef. OK so you did your best and that’s good too. More recipes to come. By the way HAPPY MOTHER’S DAY to all mothers. Hope you didn’t have to cook today and you were waited on hand and foot all day. You have worked hard and deserve it. As for me, this evening ends a three day streak of non-stop cooking …And, my feet are killing me from all the standing… Now, I’ll have to wait for Father’s Day to get a foot massage lol!! P.S. 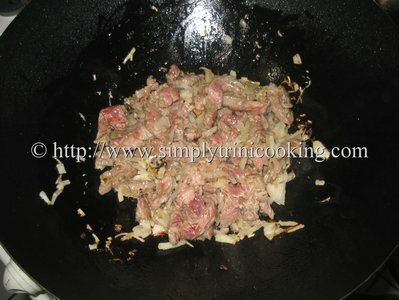 If you liked my beef in hoisin sauce recipe why not tweet, facebook like or leave a comment. This looks great and easy too. Thanks for the recipe. 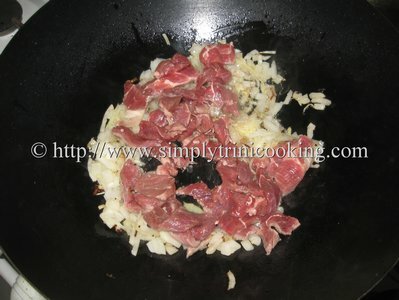 Also if you want to know more about beef, you can visit IBEEFRECIPES for more recipes.